Gone are the days where all we used for storing and displaying items were simple shelves and boxes. 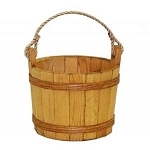 Now there are such a wide array of items to choose from and one of the most popular containers are buckets. 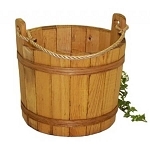 Galvanized Pails give that extra shine that is going to catch the eye of all who pass. Dress up your pails with chalkboard fronts, labels, ribbons and more. Each personality needs the perfect materials to match so that your decor is just right. 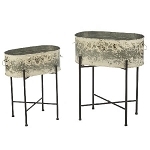 If you love the sleek look of the metal pails we have those in many sizes. 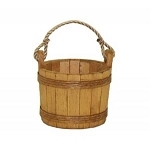 If natural is more your style, look through the wooden bucket displays. 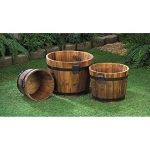 These tubs, buckets and pails give you vessels for your store, to make gift baskets, create centerpieces and pretty much anything your imagination can come up with. Have fun shopping for your perfect display!